Pavlo Mricalo, 25 years old. My acquaintance with this project started in the fall of 2017. – Do you do something now? – I go to the gym 2 or 3 times a week, depending on the number of my days off. – And don’t you want to run 5km in a rather interesting company this Saturday? – I do not know, I’ll think about it. Around 9:35, I finished the run. It’s an exciting feeling when you cross the finish line, when you have the sense of what you managed! In fact, the result was quite mediocre (31 minutes 17 seconds), but my success brought me the joy. The next Saturday morning I was waiting again for the start. This euphoria caught me again, and this time I also improved the result (28 min 49 sec). I was involved in running.. I returned to the running in January. And I ran1.5-3 km maximum. As I was running for the first time in my life in the snow, I did not dare to run a long distance, and skipped runday. Spring, warming, a little more free time, and nature itself with its landscapes encourages you on the morning jog along the embankment of the Ternopil pond. At the moment, I finished 11 runday runs and 1 day I was a volunteer. My best result is 22 min. 57 sec. And I understand that this is far from the limit. I have a target, as the runners say – go in at 20 minutes. I’m training now, trying to improve my technique and endurance. 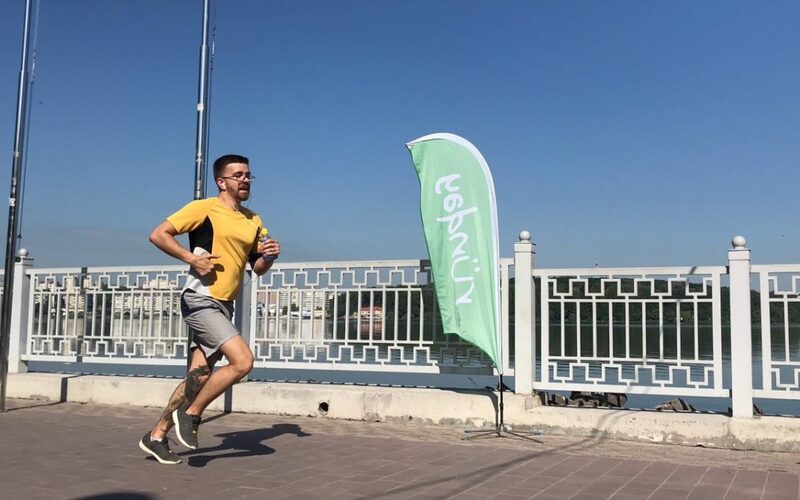 It is cool that there is a running community in Ternopil, with morally and physically strong people, who will help with advice, support and various events which help not to quit running. Runday is not just a running comunity, it’s an opportunity to chat with the champions, with a skilled contender, with a cool IT workes, the top manager, and just the people who are close to you on a wide variety of topics, this is an opportunity to improve yourself, your body, the opportunity to admire the sunrise in your hometown once again. Runday inspired me to overcome my first 10km, the first half marathon. There are plans for a marathon. And what does runday mean to you?